Palindromic length of a word is defined as the smallest number n such that the word can be written as a product of n palindromes. It has been conjectured that every aperiodic infinite word has factors of arbitrarily high palindromic length. 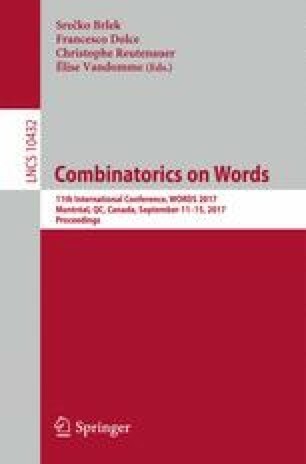 A stronger variant of this conjecture claims that every aperiodic infinite word has also prefixes of arbitrarily high palindromic length. We prove that these two conjectures are equivalent. More specifically, we prove that if every prefix of a word is a product of n palindromes, then every factor of the word is a product of 2n palindromes. Our proof quite naturally leads us to compare the properties of palindromic length in free monoids and in free groups. For example, the palindromic lengths of a word and its conjugate can be arbitrarily far apart in a free monoid, but in a free group they are almost the same.